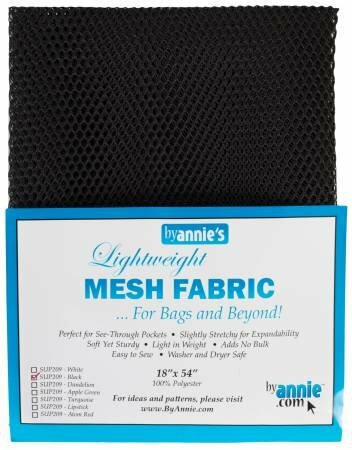 Light weight mesh fabric-18in x 54in. 100% polyester and specially coated to be less slippery and easy to sew. Terrific for pockets, on bags or anywhere you want to be able to see what you are storing.